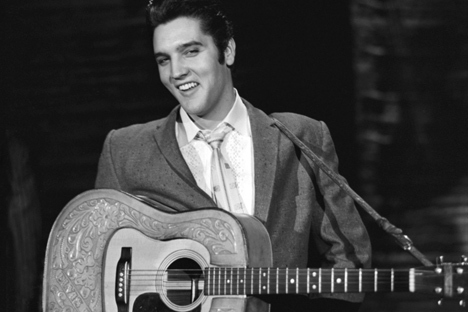 On Aug. 16, 1977, legendary American singer Elvis Presley passed away in Memphis, Tennessee. In memory of the man known to fans all over the world as "the King," RBTH has found 5 Russian singers who sing – and even look – like Elvis. Alexander Rybak – "Don't Be Cruel"
Danila Dunayev – "Blue Suede Shoes"
Denis Klyaver – "Can't Help Falling in Love," "Blue Suede Shoes"
Timur Rodriguez – "Trouble," "Blue Suede Shoes"
Alexei Vorobyev – "Heartbreak Hotel"
Find more awesome stories in your box!